Bad Credit Mortgages | How can I get a mortgage with bad credit? Just because you may have a bad credit rating doesn’t mean you cannot get a mortgage from a mortgage lender. The interest rates and fees will be higher, but you still have some options open to you. A bad credit history decreases the choices when it comes to getting a mortgage, and may mean you can’t get one at all. Before you give up though, consider some things that can increase your chances of success. If your financial problem was due to an illness, divorce, or other rare occurrence, there are alternative lenders who specialise in lending to people with specific kinds of credit history problems. The longer ago it happened, and the amount of money involved, will also be factors. 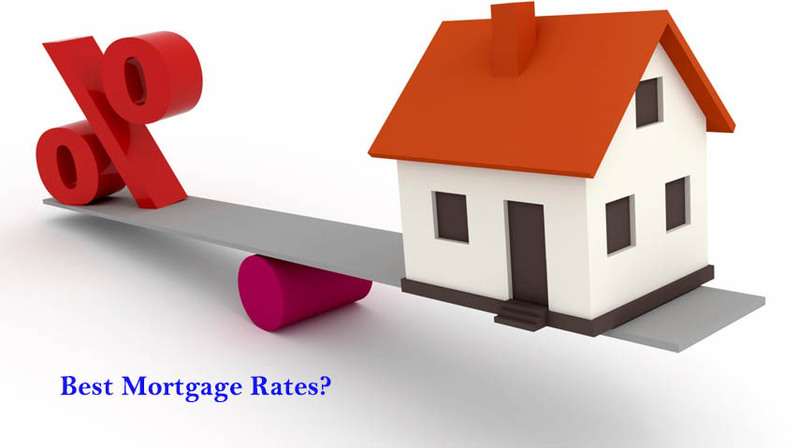 Whether you get a mortgage from a high street ender, or from an alternative lender, you are likely to pay a relatively high interest rate. This compensates the lender for taking a risk on you. The more risk there may be, the higher the interest rate. A good way to decrease their risk is to increase the money you put down. If you have it available, putting down 20% or more can signal to the bank that you are willing to risk your own money, and may go a long way toward them risking theirs as well. Can I remortgage when my credit improves? Remortgaging once credit improves can be a great way to reduce the cost of your mortgage. It depends on several factors, including early repayment fees, administration fees for the new mortgage, etc., but if after adding up the costs, it may well be worth it to replaced your old mortgage with a new one that reflects your improved rating. How will banks judge my bad credit history? Banks are run by people, not robots, so although it is a business, those running it can have some influence on how your credit history is judged. Some items, like county court judgments (CCJs) and bankruptcies are seen as very big indicators of high risk, but missing utility bills or other small issues, especially if it happened a fairly long time ago, will not be too impactful. Can I check my own credit rating? Not only can you check it, you should. The three biggest credit companies are Callcredit, Equifax, and Experian. It is worth checking you credit annually (more often if there are problems) to ensure that no fraud has occurred, and to ensure that any efforts you make to improve your record are having an effect. What can I do to improve my mortgage chances? Keep your credit rating as high as you can. Limit the amount of unsecured credit (such as credit cards) you have available to you, and keep balances below 30% of your total credit limit. Put down as much money as you can when applying for a mortgage – the higher your share is, the more likely you are to get a mortgage, and at a good rate. The three biggest credit companies are Callcredit, Equifax, and Experian. You can contact each of these to find out your score. Many credit cards also offer this service as a perk. Check with your current card company to see if this is an option for you. Even if you don’t know of anything negative that would be on your credit history, it is a good idea to check. You will pay more in interest, and you may need to contribute a higher percentage of the purchase price, but even with a damaged credit rating, it is still possible in many cases to secure a mortgage. In most cases, remortgaging with bad credit is not worth it. Once the fees, penalties and other charges are added up, there is little (if any) room for savings. How can I improve my bad credit rating? Make sure your current responsibilities are met: pay your bills on time and catch up on anything that has fallen behind. Once this is done, secure a modest amount of credit (like a credit card) and establish a track record of paying it off on time. Register to vote and, if practical, don’t move around a lot. Signs of stability and community commitment have an impact.